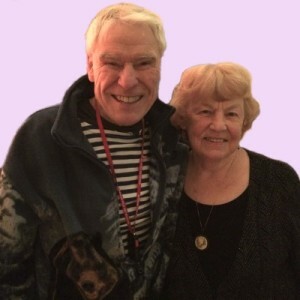 In 1986, Wendy Dwyer and Marlborough School Principal Sandra Whippie asked Jacques d’Amboise, founder of National Dance Institute (NDI), for help getting an associate program off the ground. The world-renowned ballet performer and New York City Ballet principal dancer shared his gift with the local school children for four years as National Dance Institute/New Hampshire. In 1990, with Mr. d’Amboise’s support and encouragement, New Hampshire Dance Institute (NHDI) spread its wings and became a separate entity independent of NDI. After 21 years as NHDI’s Artistic Director, Wendy Dwyer passed the torch on to Kristen Leach in 2007. Kristen has been a steady and consummate force in the upholding of NHDI tradition, and continues to inspire a new generation of children. NHDI is proud to collaborate as an Associate of National Dance Institutes (ANDI) in teaching exchanges, conferences, and the sharing of best practices in dance education. Jacques d’Amboise — Kennedy Center Honors.